Becoming a better writer is one of the best things you can do for yourself and your career, no matter your position, job title or the market you work in. 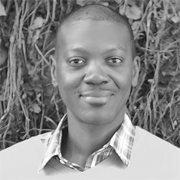 Being able to effectively distill, convey and share your ideas in a succinct fashion and with clarity is the hallmark of top performers in any field. “How can I become a better writer?” is a question I get asked a lot. The people asking this question have typically heard that they need to write more often, but what they really want is a resource they can lean on and continue referring back to. I point them to a book by marketer and writer extraordinaire Ann Handley. Everybody Writes: Your Go-To Guide to Creating Ridiculously Good Content isn’t your typical book on how to become a better writer. It’s full of practical, actionable tips, tactics and strategies that anyone can use to immediately improve their writing skills. There is no sufficient excuse for not upping your writing game. I beg to differ. 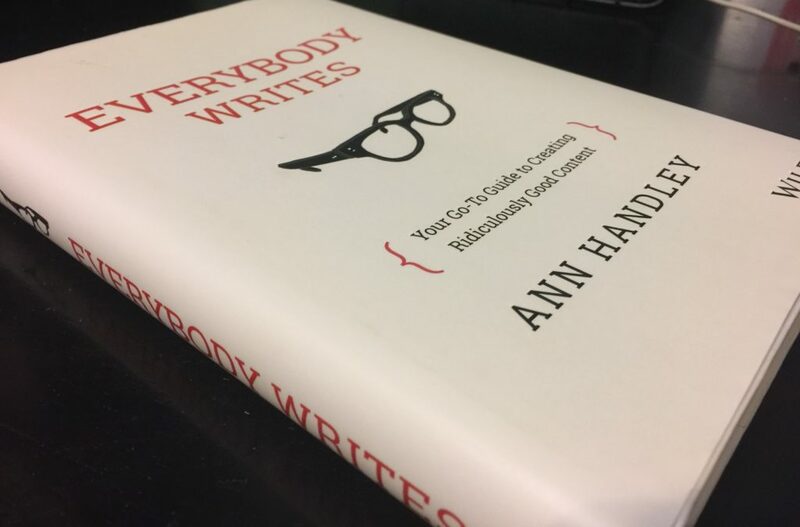 So does Ann Handley, whose book is designed to help businesses do better what, sadly, we’ve only told them to do frequently—produce amazing content. Becoming a better a better communicator and sharer of ideas begins with better writing, not more marketing. I’m on record as saying businesses should work toward producing their own content, even if it’s just blog posts at first. At the very least, this ensures the principals of the company are clear on the core messaging and develop some familiarity with the voice and tone needed to attract and engage their core audience. Even more important, it ensures that, should the company look outside for content help, they can adequately judge the quality of the content produced on their behalf, not blindly trust a third party, many of whom are better at producing quantity, not quality. Everybody Writes puts business owners in the driver’s seat on the road to becoming better writers. I first encountered Handley after following a link from Twitter to marketingprofs.com, a training and education business where she acts as the chief content officer. She’s eminently likable, witty, irreverent and good-natured. She’s also a former business journalist (like me) who knows her stuff and takes content seriously. Everybody Writes is an accessible, credible playbook that’s as relevant as it is meaningful. So much of what being written today is meant to (a) aid conversions, (b) enhance the author’s profile and (b) be shareable via social media. It’s as though applicability is thrown by the wayside. (Notable exceptions include Jay Baer’s Youtility and Joe Pulizzi’s Epic Content Marketing: How to Tell a Different Story, Break through the Clutter, and Win More Customers by Marketing Less. Let’s face it: We aren’t swimming in a sea of content; we’re swimming in a sea of wastefulness masquerading as information. Our customers are starting to wonder aloud, asking “Why does so much of what’s called content marketing look a whole lot like crappy marketing?” as the owner of a successful pool company once asked me. We are a “planet of publishers,” but we’re producing a lot of uninspired, boring, generic writing that lacks confidence and a point of view. Your content needs to be customer-centric, not corporate-centric. You should also strive for accessible, economic, direct, simple and have pathological empathy for the people you want to reach. Edit your work so that it has an economy and style that conveys your messages simply and easily. This is where that pathological empathy comes in handy. It’s about quality, not quantity. Instead of attempting to create more content, focus on creating at a level that you can execute without sacrificing quality. Why am I creating this? What’s my objective? What is my key take on the subject or issue? What’s my point of view? Needless to say, I’m eager to get my hands on a copy of Everybody Writes. You should do the same. Do it now. No, seriously, do it. What’s a resource you’re using or have used to become a better writer?